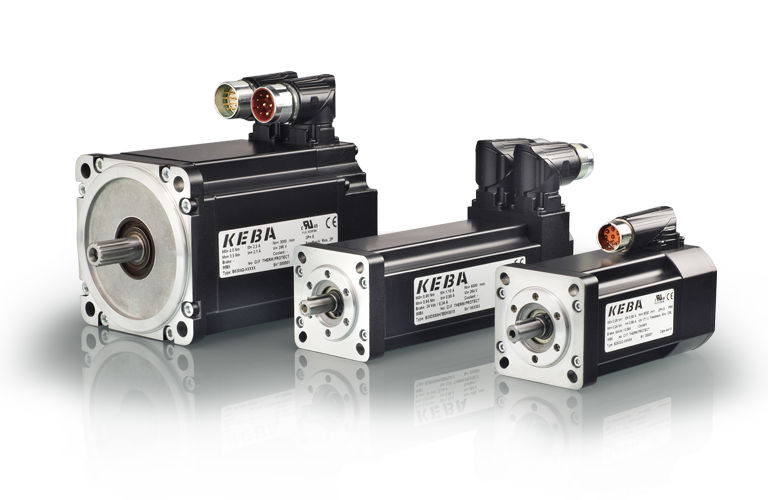 The KEBA servo motors of the DMS2 series fulfill the highest demands on accuracy and motor smoothness and are characterized by a wide performance spectrum and rpm range. Depending on the application case, the motors can be adapted specially to the respective requirements thanks to a wide variety of options. 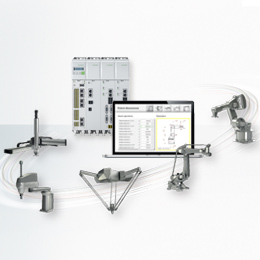 The moments of inertia are specially attuned to robotics and motion applications and enable optimum control behavior, especially for interlinked axes. The electronic rating plate with parameter memory guarantees problem-free commissioning of the drive system. 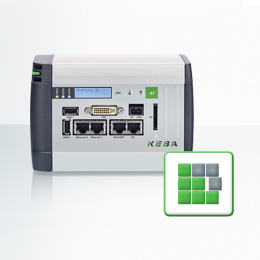 The synchronous servo motors of the KeDrive DMS2 series are suitable for nearly any servo application in automation and stand out due to their compact size and adaptability. The fine adjustment of torque and rotational speed to 7 flange sizes enables optimal motor dimensioning for any application case. The high torque density with maximum speeds of up to 345 Nm makes the motors compact and dynamic. Depending on the requirements on accuracy and safety technology, analog encoders and digital safety encoders are available. The digital encoders are available both as single and as multi-turn versions. Safe high-performance applications can be realized with only one cable with the high-resolution Hiperface DSL encoders. A series of preferred types is available to enable particularly short delivery times. Preferred types are selected motor types with specially coordinated options. Detailed information on our preferred type can be found in our KeDrive DMS2 product catalog.